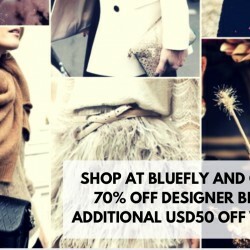 Treat yourself to a designer handbag, a pair of designer shoes or designer clothing at Bluefly with up to 70% off! In addition, get USD50 off when you spend USD250 from now till 8 December 2015, 1830hrs, SGT! Direct shipping to Singapore is provided. 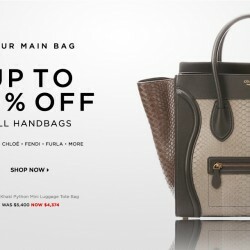 Bluefly offers Up to 60% OFF All Handbags. Direct shipping to Singapore, shipping fee applied (around US$20 per bag). Direct shipping to Singapore, shipping fee applied (around US$20 per bag). 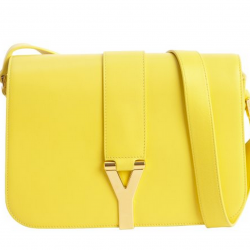 Bluefly offers Up to 50% OFF Furla Handbags. Direct shipping to Singapore, shipping fee applied (around US$20 per bag). 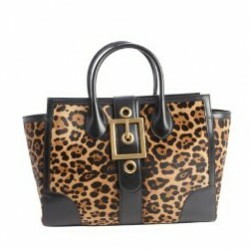 Bluefly offers Extra 15% Off Jimmy Choo Handbags & Shoes, prices as marked. Direct shipping to Singapore is provided. Valid till 12 Aug 2014, Singapore local time. Valid till 12 Aug 2014, Singapore local time. 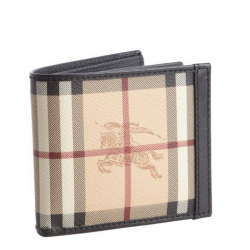 Bluefly offers Up to 40% OFF + Extra 20% OFF Burberry Handbags and Apparel with promo code "FAMILY". Direct shipping to Singapore is provided. Valid till 8 Aug 2014, Singapore local time. Valid till 8 Aug 2014, Singapore local time. Bluefly offers 20% OFF + Extra 20% OFF Balenciaga Handbags and Wallets with promo code "FAMILY". Direct shipping to Singapore is provided. Valid till 8 Aug 2014, Singapore local time. 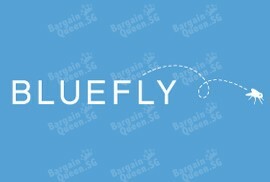 Bluefly offers up to 20% OFF Designer Handbags and Shoes Sale. Find out the luxury bag brands include Balenciaga, Fendi, Prada, Tom Ford, YSL, Gucci and many more. 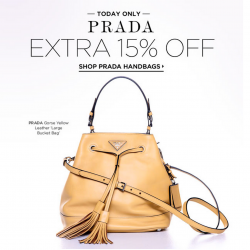 Bluefly offers an Extra 15% Off Prada Handbags On Sale! The 15% OFF will be applied automatically at the cart. Bluefly offers an Extra 15% Off Men's Salvatore Ferragamo Shoes On Sale! Prices are as marked, no promo code is needed. Bluefly offers EXTRA 20% OFF EVERYTHING. Participating brands include Bottega Veneta | Ferragamo | Hugo Boss | Armani | Free People | Dolce & Gabbana | Marc by Marc Jacobs | Tods | Christian Louboutin | Yves Saint Laurent | Miu Miu | Gucci | Fendi | Betsey Johnson | Stuart Weitzman | Theory | Balenciaga and many more. Direct shipping to Singapore is provided. You may choose vpost. Valid till 22 July 2014, Singapore local time. Free shipping over $150.via coupon code "SHIP150" within USA. Direct shipping to Singapore is provided. You may choose vpost. Brands include: Bottega Veneta | Ferragamo | Hugo Boss | Armani | Free People | Dolce & Gabbana | Marc by Marc Jacobs | Tods | Christian Louboutin | Yves Saint Laurent | Miu Miu | Gucci | Fendi | Betsey Johnson | Stuart Weitzman | Theory | Balenciaga and more. Bluefly offers Extra 10% Off Gucci For Men & Women, prices are as marked.